Simply beautiful says it all! 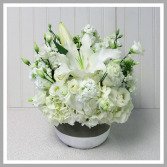 Crisp white color pallet of hydrangea, spray stock, lisianthus and lilies are arranged in a white trimmed concrete container. 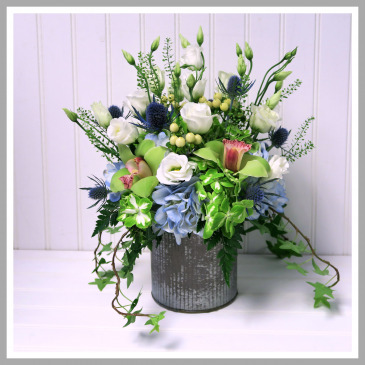 Impressive and beautiful for any occasion.